As an affluent name in this domain, we hold expertise in providing high quality Aluminium Piston Kit. 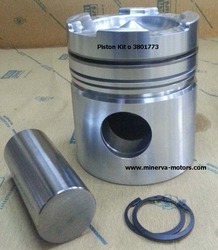 Our company is providing of Piston Kits to our clients. This kit has been developed by following latest industry norms and regulations. This kit is offered in best of range and specifications and is truly versatile. 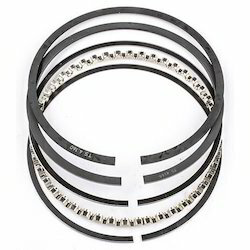 This kit is equipped with best components and is reliable for years. Cummins Genuine Piston kits suitable for NTA855 and VTA28, VTA1710 (14.5:1) 19 no's available. We offer Track Tensioner Piston Blocks which are robustly constructed and are meant to perform heavy duty. These Track Tensioner Piston Blocks are available at affordable prices.